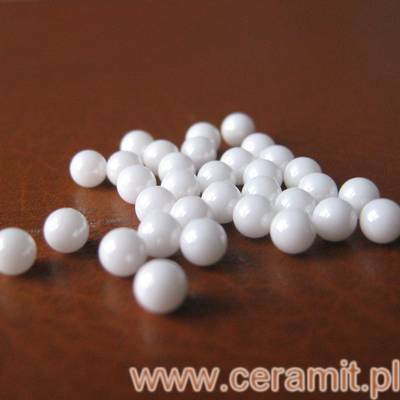 Precision ceramic balls are widely used as the rolling elements both in the ceramic bearings and hybrid bearings. Other types of applications are measuring valves and measuring tips. The use of ceramics as grinding media has two main advantages: durability and purity of the starting material. Size and material of grinding media are chosen on the basis of the technological conditions of the shredding process of a given material.